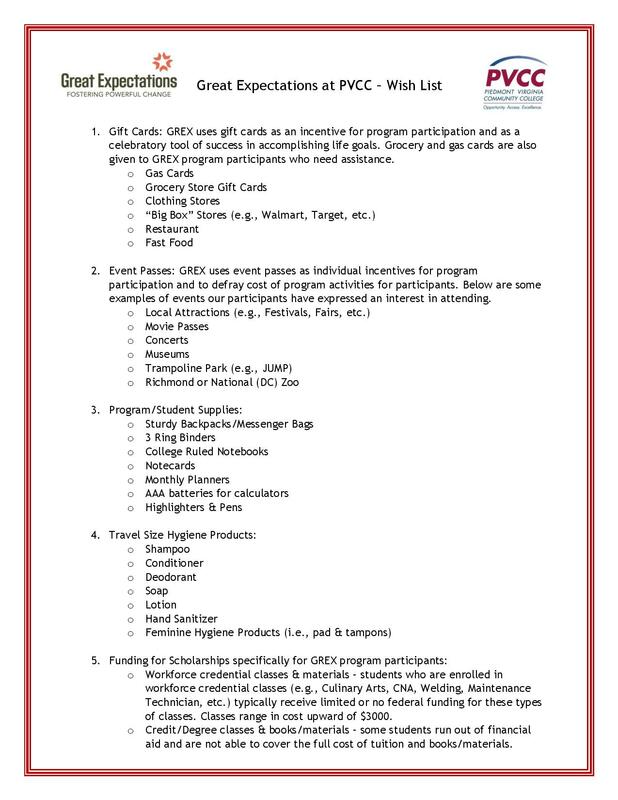 We are so happy and honored you have chosen to find out more about our program. Please feel free to contact us if you have questions on how to become a part of or support the Great Expectations at PVCC family. Great Expectations at PVCC is part of a statewide initiative that serves current and former foster care youth. We provide resources, tools, information and guidance to empower our participants in reaching their educational and career goals. We also assist participants overcome day to day life stressors so they are able to transition into a healthy and successful adulthood. Are you interested in joining Great Expectations at PVCC? Here's how to make it happen. Do you know a foster youth who could benefit from the Great Expectations at PVCC program? 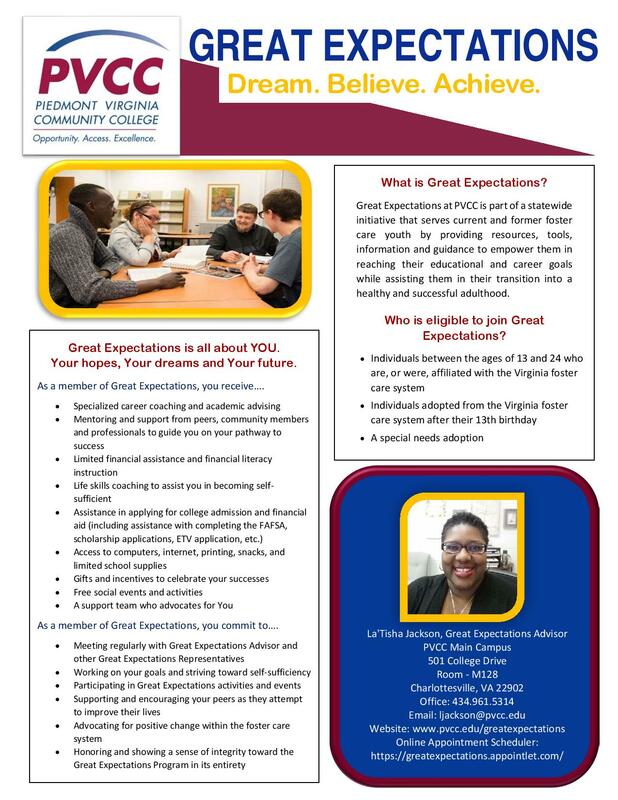 If you would like to learn more about the Great Expectations at PVCC program and how you or your group can help please contact the Great Expectations at PVCC Advisor, La'Tisha Jackson, at 434.961.5314 and ljackson@pvcc.edu or Simone Alley, Director or Major Gifts and Planned Giving at 434-961-6525 and salley@pvcc.edu. We also invite you to donate online. Simply click on Great Expectations under the Designation tab in the drop down menu. Thank you.